Cilantro may be an annual, but it is one of those herbs that self-sows, which means that if you plant it in one spot in the fall, it could pop wherever the wind has blown the seeds the next spring. You can pull those seedlings up or you can let them grow for a little while, then harvest the fragrant bunches. Just make sure you harvest the plants before they go to seed, as they fade pretty fast after that. 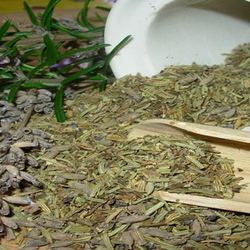 (You may want to leave a few plants to make seeds to self-sow, and to harvest for cooking. The seed of the cilantro plant is the spice coriander, but that's a whole other article). This can leave you with a whole lot of cilantro. What to do? You may be most familiar with cilantro from Mexican cooking, where it is a frequent star. I love making fresh salsa. All you need to do is remove the stems from the cilantro and toss the leaves in the blender with the juice of a lime or two and some coarsely chopped onions, tomatoes and jalapenos. Hit purée, and blend to the consistency of your choice. You can also use chopped cilantro as a garnish on top of black bean soup, enchiladas, the filling of soft tacos, or anything with a Tex-Mex flair. Cilantro is not common in New Mexican cooking (which is more well known for the use of blue corn and fresh chilies), but cilantro is a hallmark of the Santa Fe substyle, where it can top just about any dish. Another name for cilantro is Chinese parsley. So add a handful or two to the mix when you are making eggrolls or dumplings to give them an unexpected - yet traditional - burst of flavor. You can also add cilantro to Chinese-style soups, stir fries and sauces. In North African cooking, cilantro is often used to flavor meat dishes (especially meatballs), and often makes an appearance as a garnish for sweet potato or peanut soup. 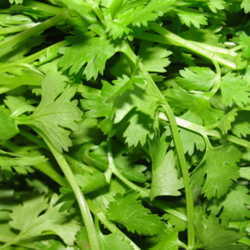 Cilantro also plays a role in South Asian and North Indian Cooking. 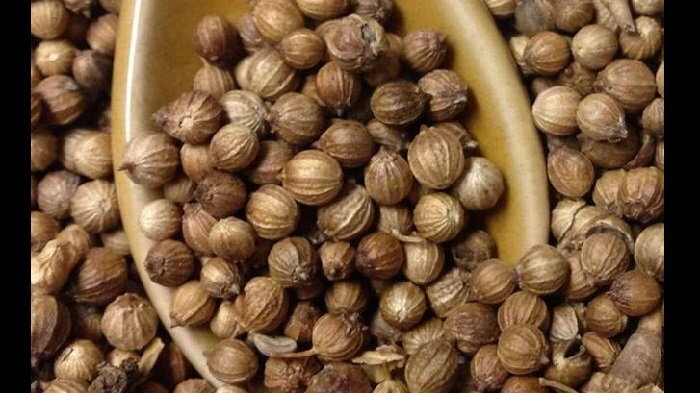 The seed (coriander) is often used as in ingredient in Garam masala, one of many types of curry powder. Cilantro itself pops up in a number of dishes. One Indian dish where you sometimes find cilantro is byrini, a fragrant rice dish with a sauce based on yogurt and spices. Where cilantro is used, it is pureed with an onion, some chilies, a couple of garlic cloves and a small finger of ginger, and a handful of almonds (along with a little water to make the blender work) to make a paste that flavors basmati rice. This dish has regional variations, and almost every cook has a personal blend of spices. To make a cilantro filled version, slice a second onion into rings and sauté it in a little ghee or butter in a Dutch oven or other stove-top safe casserole dish. Add a half cup of golden raisins and another handful of almonds, and sauté until the raisins swell. Remove from the Dutch oven. Add a little more ghee or butter, and brown a pound of your choice of meat (or sauté 3 cups worth of mixed veggies until they are crisp tender). Remove the meat, add the spice paste you made with the cilantro along with about a cup of plain yogurt. Brown the spices, return the meat to the Dutch oven, add the meat, turn down and simmer for forty minutes. Meanwhile, soak some basmati rice in a bowl of water, and partially cook it. After the meat has simmered, drain the rice, layer it on top of the meat, top with the onion and raisin mixture and put the whole thing in the oven for another half an hour. This process will make even tough cuts of beef melt-in-your mouth tender. 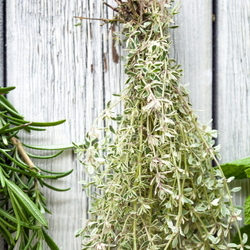 If you want to take a more modern approach, look at the direction gourmet chefs have been going with herbs. They are making "pestos" out of most anything pungent and green these days, and one of the tastiest is cilantro pesto. Try a spoonful on top of a serving of black bean soup. Just substitute cilantro leaves for the cup of packed basil leaves, and process as you would normally in a blender or food processer with ¼ cup of grated parmesan and 1/8 c. of pine nuts. Drizzle in a half cup olive oil in a steady stream as you go. Freeze the pesto in ice cube trays, and you have an effective way of preserving this annual herb for later use. Once you get a taste for cilantro, it will be easy to see why it is so popular the world over. Considered native to Southern Europe, North Africa, and Southwest Asia, it is equally at home in far-flung exotic locals, in your herb garden, or on your dining table. Note: In some geographic areas, the entire plant is referred to as coriander, which is considered a separate spice with its own flavor and uses.